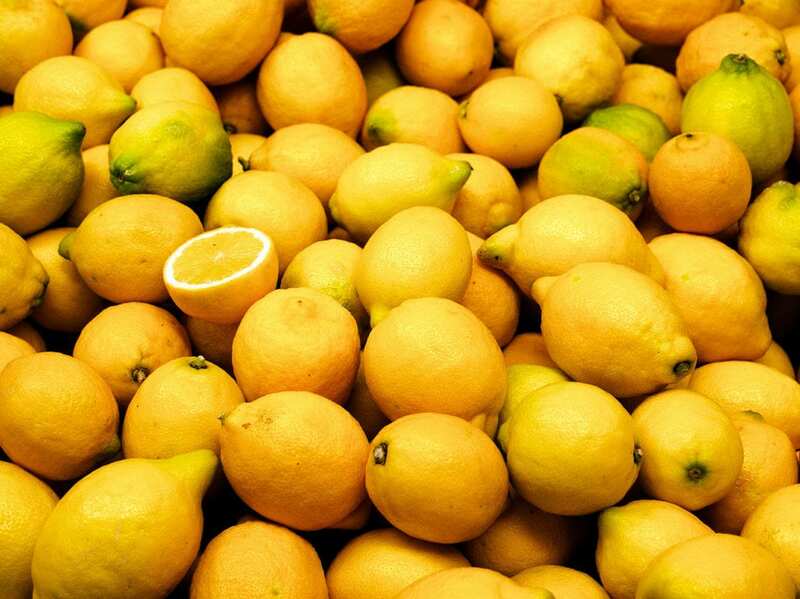 Geography: Originally native to Asia, the lemon is believed to have originated in India. Although the tree was introduced to Europe via Italy in Roman times, lemons were not properly cultivated in Europe until around the time of the Renaissance, by which time it was already well-established in the Arab world, mostly as an ornamental plant. Columbus brought lemons to the Americas in 1493, shortly after the first substantial European cultivation had begun in Genoa, northern Italy. 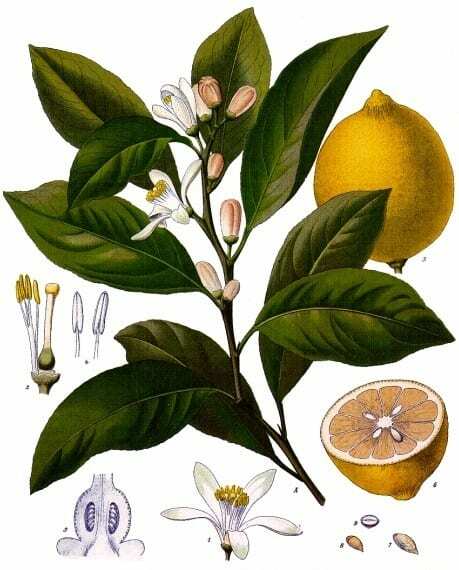 Characteristics: Citrus Limon is an evergreen tree of the Rutaceae (citrus) family with a pretty pinkish-white flower. The trees are not large and have been popular in ornamental gardens for centuries. Lemon’s familiar oval ellipsoid fruit have a wide variety of culinary and medical uses thanks to its unmistakably sour, tart flavour and high acidity and Vitamin C levels. In gin, the lemon is peeled and the peel is dried before infusion and distillation. Lemon peel is in the top five or six most common botanicals used in gin and contributes an easily-identifiable fresh, tart, citrus note whose crispness nicely offsets and compliments the heavier juniper and earthier spice notes. It hardly needs pointing out that a slice or twist of fresh lemon is far and away the most common garnish for G&Ts and Martinis. Other Uses: Where to start?! As well as a garnish for all manner of cocktails, lemon juice or peel is used in lemonade, baking, preserves or with sugar on pancakes. It’s also a great ingredient for marinating fish or olives. Lemon peel is a common ingredient in wheat beers – although not in Hoegaarden, where orange peel is used in the recipe but a slice of lemon is the most common garnish. 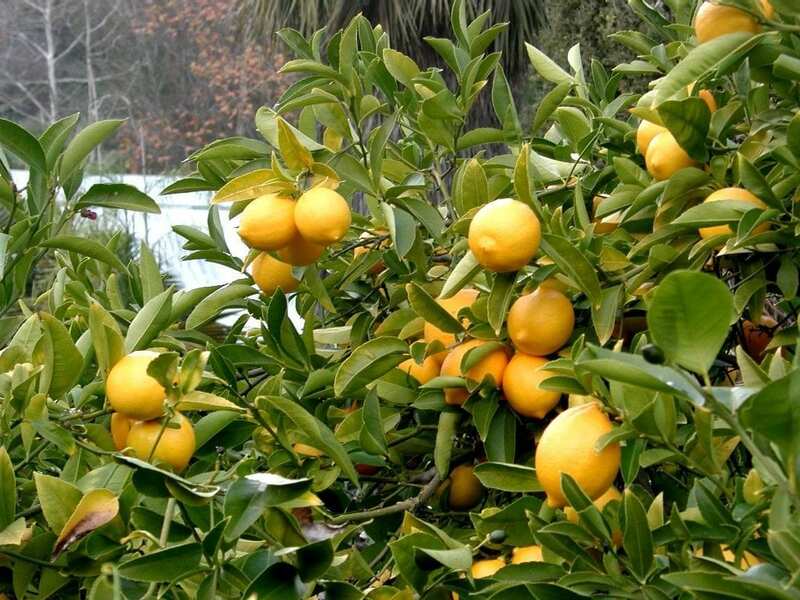 Sorrento in southern Italy gives its name to a local lemon variety that is particularly prized for the creation of limoncello liqueur, while in Morocco, lemons are preserved in salt and used in a wide variety of dishes, and this usage is also common in Southern Europe. Lemons are a rich source of citric acid (E330) which is widely used as a flavouring, preservative and emulsifier, or in combination with sodium bicarbonate to provide effervescence to drinks, powders, bath bombs and the like. Citric acid is also widely used as a cleaning and descaling agent, and even to dissolve rust. Away from culinary usage, lemons are noted for their high Vitamin C (ascorbic acid) content, famously originally used to treat scurvy in sailors, with a wide range of benefits including as an antioxidant and in the production of neurotransmitters and enzyme function. Although Vitamin C is helpful to the immune system, there is no evidence to support the unshakeable common belief that it prevents or cures the common cold. However, perhaps inevitably for a widely-available ingredient with known health benefits, lemon is also recommended – with varying degrees of justification – for a bewildering variety of other conditions including bone ailments, ‘oxidative stress’, ‘toxin eradication’, cancer, high cholesterol, heart disease, obesity, acne, ‘liver cleansing’, ear infections and poor circulation. Lemon oil, meanwhile, is used in aromatherapy for relaxation and elsewhere as a polish for wood, to remove wax and grime and as an insecticide. Associated Brands: Probably around a third of all gins feature lemon peel as a botanical, including Bombay Sapphire, Beefeater, Plymouth, Hendrick’s, Botanist, Sloane’s, Junipero, Ki No Bi, Glendalough and No. 209 as a small sample. The common lemon found in our supermarkets is known as the ‘Eureka’ variety or, slightly less thrillingly, ‘Four Seasons’. Lemon juice can be used as invisible ink to impress young children that just got into Sherlock Holmes (the only known use for invisible ink).